Mitsubishi Fuso is counted amongst the leading manufacturers of trucks in the world. With standard specification in almost all their vehicles, Fuso has fast become a popular brand for medium-sized and large trucks amongst corporate houses and even individual drivers. Mitsubishi Fuso is counted amongst the world’s largest truck manufacturers. It is based in Japan, although the owner of the company is German. The company has launched several trucks, which are stylish in their own aspects. They serve several purposes depending upon their models. 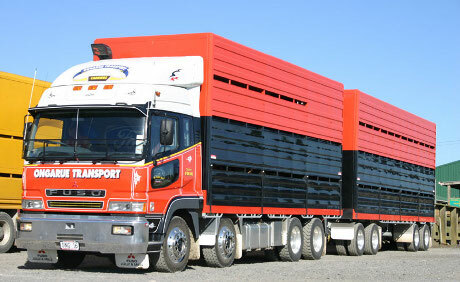 Their trucks have been very popular in their native regions and in particular regions of the world. The varieties of Fuso Trucks, which have been manufactured till date, are quite praiseworthy considering the fact that they have been designed to cater for people’s need earnestly. There have been several models of the Fuso Trucks, which have been launched by the company thus far. Some of the most popular Fuso Trucks include the Fuso Super Great, Canter, Canter Guts, Fuso Fighter and the Canter Eco Hybrid. Other than these, there have been other recent editions of manufactured trucks by Mitsubishi Company. Among these latest models include the FG, FE Crew, FE, FM and the FK models, which have been developed for special purposes, unique for each of the vehicles. These newer brand of trucks cater to the specific necessities of certain section of people. The FM 300 (model of Fuso) generates a horse power of around 243 supported by turbocharged diesel held over 6 cylinders. The inline system present is Fuso’s own 6M60 7.5 liter that provides the strength of the engine environment amassing a torque of about 514 lb-ft. The truck is also powered with electronic 5-speed auto transmission, which can be altered with 6-speed manual transmission, if necessary. The entire steel frame can take in bodies up to the size of 28′ along with several features making it ideal for a 21st century transportation vehicle. Till now, FM 300 is the largest commercial truck launched by the Mitsubishi Fuso. Fuso FE Crew is something completely different, as it is used for carrying up to seven passengers in it. This vehicle serves as the ideal truck for road service, municipal duty, landscaping, construction for lawn care, or grounds maintenance. However, FK Fuso Trucks are mainly used at the construction sites and accredited with a positive reputation of their reliability. The specifications, however, remain the standard for most of the Fuso vehicles and keep them at par with one another except the mode of work they do. Overall, it can be noted that the Mitsubishi Fuso trucks are one of the most effective set of vehicles manufactured for transportation purposes. Most importantly, the concept of having different trucks for different purposes with the wide variety covering almost all sectors is something to look out for. Mitsubishi has been doing well with the production of the Fuso Trucks. May be in the recent future, they might come up with more innovative ideas for improving further. It would be a great sight to see the Fuso trucks fight it out in the market with its competitors.